If you want supporters at a dinner party, start slagging off English food. Then pull the rug from under everyone’s feet by following up with two words: “afternoon tea.” No culinary snob could pooh-pooh what is the zenith of meriendas. And yet, even though Barcelona could not be more anglicized, enjoy the bemused reaction of shop assistants when looking for a scone equivalent. Battenberg cakes, cucumber sandwiches and clotted cream had similarly drowned in obscurity before making the intercontinental leap, that is until the advent of Albion Food & Events. 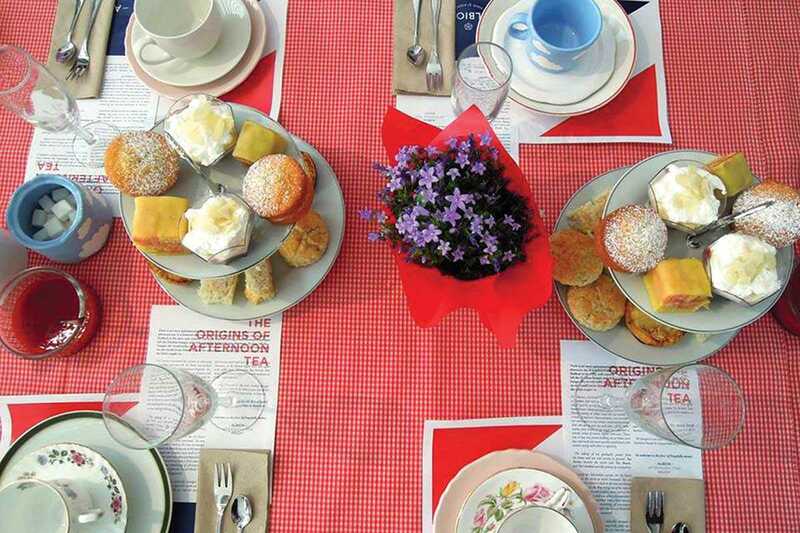 Founder and expat (and Miniguide contributor) Claire Gledhill organizes monthly afternoon tea parties replete with Pimm’s, trifles, cake towers and porcelain teapots. Guests book in advance, pay a contribution of €22, of which €1 is donated to Arrels Fundació.